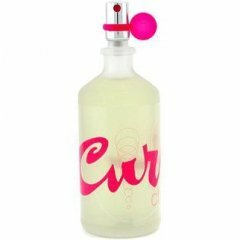 Curve Chill is a perfume by Curve / Liz Claiborne for women and was released in 2006. The scent is floral-fresh. The production was apparently discontinued. I wish this had been around when I was a teen living in a humid climate with not much air conditioning. I would have reapplied it every couple of hours. It's a pleasant, soft green tea with no astringent edges combined with soft, calm florals. I would have thought there was cherry blossom in here, but that's probably because green tea and cherry blossom are paired so often in perfume that I associate them with each other. Although this is technically an edt, it's really a body spray. It's not complicated and it doesn't last long. But that means you can respray it and enjoy the pleasant evaporation often. It's as effective on a hot day as pressing a cold glass bottle of Coke, just out of the refrigerator, against the back of your neck. And almost as economical! US eBay is selling a 100 ml tester of it for $10 including shipping. Write the first Review for Curve Chill!